There’s no better place to turn than Karl Malone Chrysler Dodge Jeep Ram when you’re looking for an affordable auto loan in Heber City, UT. Our highly skilled finance professionals have a strong reputation for getting our customers in the vehicle of their choice. We can even help you refinance your current loan for a lower monthly payment should you choose to do so. Visit us today, and we’ll help you find the best finance option possible! It’s time to put the ball in your court. For your convenience, you may begin the process of financing your next new or used vehicle purchase right now by using our simple and secure car loan application available online 24/7. Or, you can always visit us at 46 East 200 South, Heber City, UT 84032 to sit down and discuss your finance options in person. We’ll be more than happy to address any questions or concerns you may have. 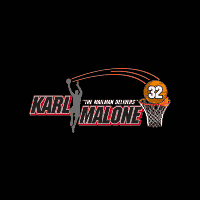 Remember, Karl Malone has the buying power to help get you approved. We look forward to help our customers from Heber City, Salt Lake City and Park City, UT, finance their new or used car from Karl Malone Chrysler Dodge Jeep Ram!